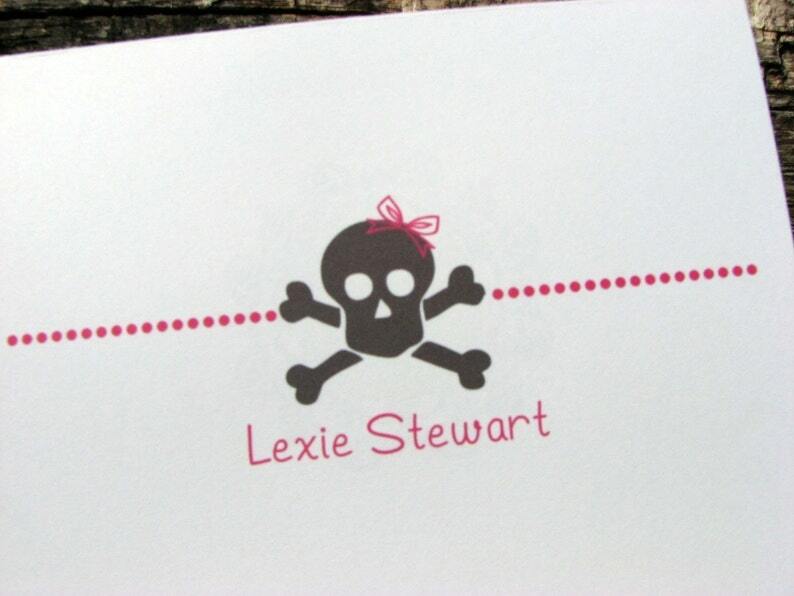 *Set of 12 note cards with a "Girly" skull and cross bones done in charcoal gray and a hot pink bow. The name is printed in hot pink. *Great for all types of correspondence ranging from a "thinking of you" to a "thank you"
**You will receive a digital proof within 1 to 2 business days upon payment. Once the proof is approved your items will ship within 2 to 3 business days. **North Carolina residents will be charged 6.75% sales tax upon check out. Thank you for looking and I hope to work with you soon!